Energy investment and consulting firm Eco Energy is scouring Israel to find ways to help local and international energy suppliers go green by investing in alternative fuel sources. The company’s latest target is algae. With scientists all over Israel and the world racing to find an efficient fossil fuel substitute, interest in “second generation biofuels” is growing. Scientists, companies and investors are looking beyond biofuels made from corn, sugar cane and vegetable oils and are turning to organic materials and waste that won’t compete with food crops. 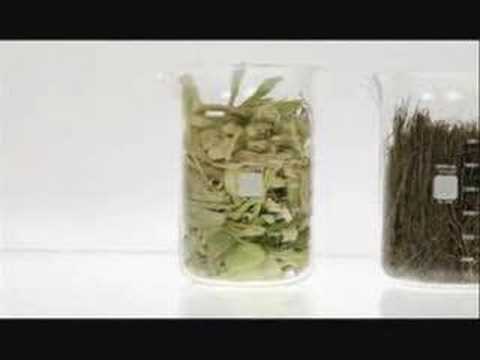 One promising biofuel alternative that Israelis are actively working on is made from seaweed, or more accurately algae. Not long ago, those on the quest convened at the Samuel Neeman Institute at the Technion-Israel Technological Institute, to find ways to help Israel accelerate development in this area. Dr. Amit Mor from Eco Energy, an energy investment and consulting firm, is an advocate of renewable energy solutions. He was at the meeting. Through Eco Energy, Mor and his partner Shimon Serroussi specialize in greening Israel’s energy, environmental, and infrastructure sectors. Their latest projects include conducting due diligence for renewable energy projects, such as wind farms, solar energy, bio-fuels and clean-tech startups. They conduct financial valuations and write business plans for Israeli oil refineries, petroleum depots, and power plants. Active in the newly developing market of Israel’s greenhouse gases emission reduction programs and emission credits, the company has also prepared the Energy Master Plan for the State of Israel, commissioned by the Israeli Government. Based in Herzliya Pituach, Mor and Serroussi scour the country to help find ways for local and international energy suppliers and infrastructure companies to go green, mainly through investing in alternative fuel sources. The latest target is algae. “The concept of second generation biofuel is relatively new in the world, and algae are attractive for a number of reasons,” Mor tells ISRAEL21c. Mor explains that algae have sparked a new interest in the biofuel sector because of their ability to sequester CO2 from smokestacks and the fact that this potential biofuel will not compete for farmland with food crops. Some envision redirecting the discharged gases from smokestacks and converting the global warming causing CO2 into a gaseous lunch for algae living nearby in brackish water. One Israeli company Seambiotic claims to have found a way. The five-year-old company is now running a pilot of eight open algae ponds at the Israel Electric Company power plant in Ashkelon. Some scientific studies suggest that algae could become one of the world’s most promising biofuels. Capable of producing 30 times more oil per acre than crops used for biofuels, algae biofuel is also non-toxic, produces no sulfur byproducts, and biodegrades quickly. As with most new fields, some claim there are too many hurdles to overcome before algae can become liquid gold. But the same sceptics speculate that a wide variety of alternative fuels are needed to meet our energy needs in the coming centuries. Mor’s Eco Energy is investigating this possibility by facilitating companies’ activities in the biofuel sector. “One company that we are working with is Bio-Petrol, which is developing technology to produce petroleum products and natural gas from sewage sludge,” he says. Aside from Seambiotic, Algatech, based in Ketora in the Arava Desert, is also taking part in R&D in this field. Algatech was founded in 1999 and is based on the research of Prof. Sammy Boussiba from the Sde Boker Research Institute of Ben-Gurion University of the Negev to develop and commercialize microalgae-derived products for the nutraceuticals and cosmeceuticals industry. In addition, in Eilat, a few kilometers from the city center, and just down the road from where once migrating pink flamingos have taken up permanent residence, is the NBT plant that cultivates Dunaliella, algae found in the Dead Sea and a lagoon in Sinai. At Eco Energy with some of Israel’s biggest players as past and present clients, including the World Bank, the European Investment Bank, Paz Oil Company, Delek – the Israeli Oil Company, Sonol, Teva and the Israel Railways – if Israel finds a way to commercialize algae for biofuel, it might be as good as striking oil.